Actually,This tunic is the last of the series, these pictures were hidden some other place! I had two dupattas-1. red , block printed in black.2. 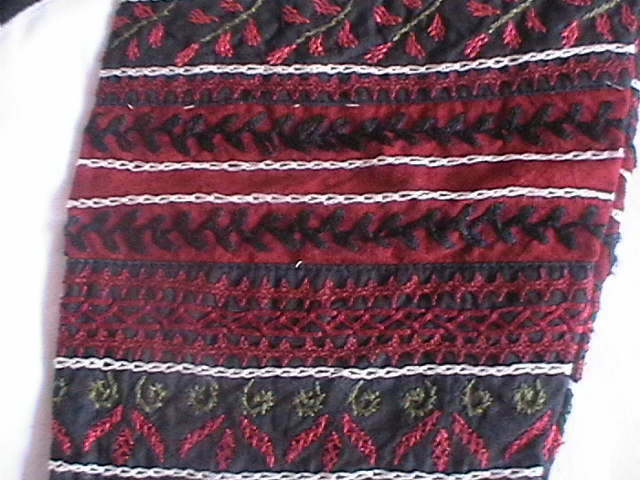 An ikat weave-in black,red and white combination. They were bought on two different occasions, couldn’t resist both. I wore a plain black salwar set, and another red salwar set –to go with the duppatas. I wanted full sleeves for the tunic[salwar] with 8 inch embroidery, and a small yoke. One inch border patterns were chosen. 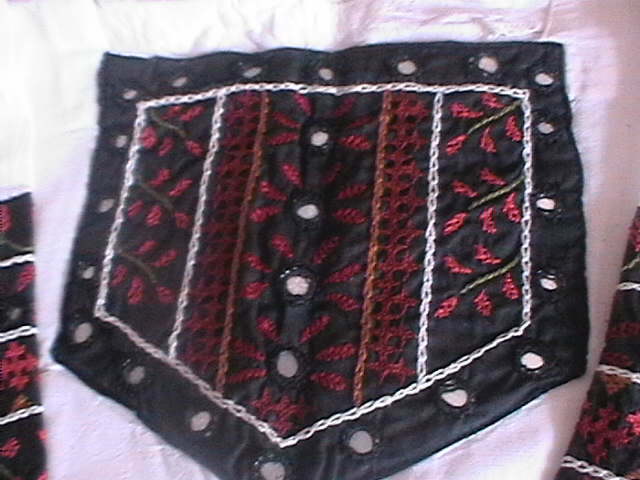 Later another idea came, to attach a red fabric in between with black embroidery on it. 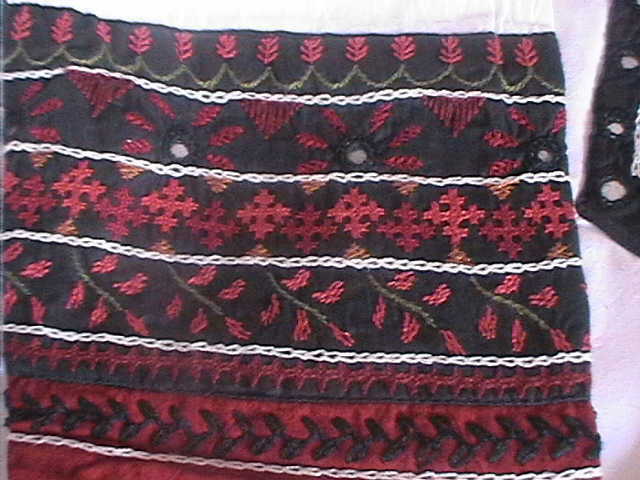 Embroidery-kutchwork, herringbone filling , variations of a few line stitches-chain, fly, chained feather, stem. The pattern for the sleeves was drawn on graph and the pattern for yoke was drawn on blank paper. Wearing full sleeves with embroidery is not ideal for hot cities like Muscat or Chennai, still I try to wear this set as often as possible. Ironically, I don’t wear those duppattas for this set, it is too heavy!. I wear it with black, red or white plain chiffon duppatta!